If you have never taken an online class before, start with this self-diagnostic tool. 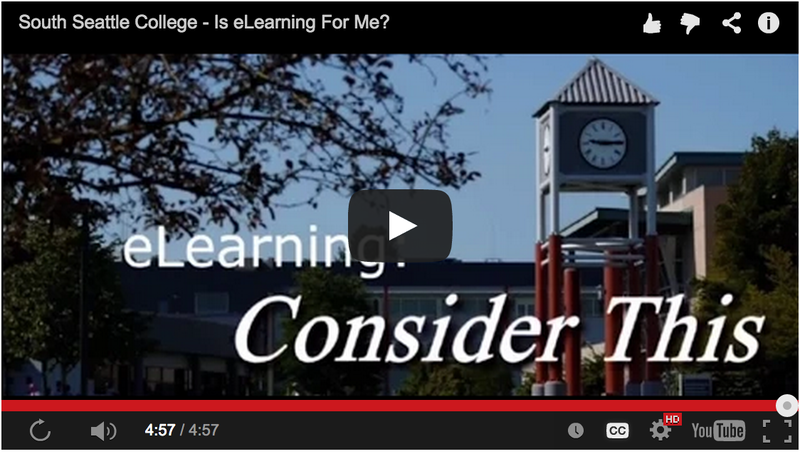 Online learning requires students have the necessary skills to learn online and complete their online assignments. Before you take any online class, you should be confident about your computer and study skills. Please be aware that eLearning staff cannot teach you how to use your computer or navigate the Internet. Review the following list of requirements to assess your readiness to take online classes. I can navigate around the Web and know how to use search engines. I know how to send and receive e-mail using the e-mail system of my choice. I know how to open, save, download, upload, and manage files. I have access to a computer 5-7 days per week. The computer I will use meets the basic system requirements for online classes. I have 12 to 15 hours a week to work on each online class. I can motivate myself to log in to the virtual classroom at least 5 days a week. I will read the syllabus and print it out! I enjoy figuring things out on my own but am able to ask for help when I need it. I understand that working online may at times be frustrating due to technical issues I may have. I have a computer back-up plan and keep copies of my work, assignments, quiz answers, and grades! I am willing to participate in online lessons, research and discussion forums. Web-based classes involve sharing, uploading, and downloading software that, when infected with viruses, might be harmful to the entire system. Therefore, some simple actions will be required from you in order to prevent computer viruses and other forms of destructive software. Computer viruses can cause damage to your computer and the files stored in it. If you send a file with a virus to someone else in your class, that person's computer may become "infected" as well. Anti-virus software is available to help protect your computer. Special Student Services to provide accommodations for disabilities? call (206) 934-5137.